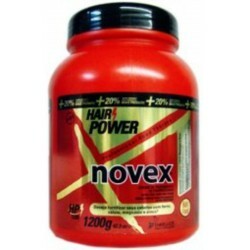 Novex Keratin - Just Beauty Products, Inc.
Novex Keratin There are 19 products. Novex Kerachoco Keratin Concentrate White Chocolate delivers maximum hydrolyzed keratin fixation. Cocoa Butter present in the formula deeply hydrates hair, recovering its natural flexibility. 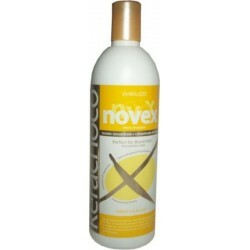 Novex Kerachoco is perfect for blond, thin hair or hair that easily tangle. 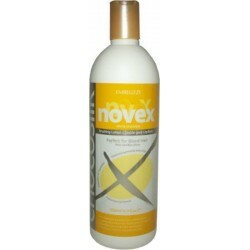 Novex Chocosilk White Chocolate Brushing Lotion 500 ml./16.9 Oz. Novex Chocosilk White Chocolate Brushing Lotion perfect for Blond Hair, promotes the sealing of the cuticle making the hair silky. The cocoa butter present in white chocolate improves hydration and helps protect hair from harmful sun rays and cold. The blond hair is softer and healthier. 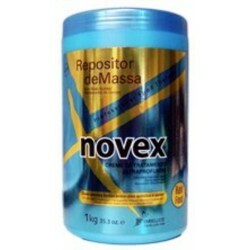 Novex Chocomax Chocolate Keratin Concentrate 500 ml/16.9 Oz. 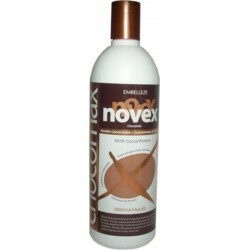 Novex Chocomax Chocolate Keratin Concentrate delivers maximum hydrolyzed keratin fixation. Cocoa, wheat and milk proteins present in the formula enhance hair hydration and recover hair natural flexibility. 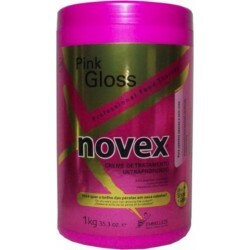 Novex Chocomax is perfect for thin hair that easily tangles and to oily roots hair. 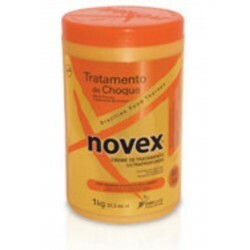 Novex Chococlean Chocolate- 0% Salt Shampoo 500 ml/16.9 Oz. 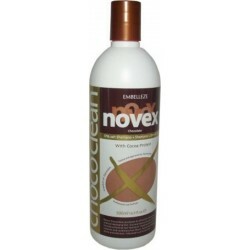 Novex Chococlean Chocolate without Salt Shampoo promotes an effective cleansing, without damaging hair. Cocoa protein present in the formula enhances hair hydration. Hydrolyzed keratin restores and conditions hair fibers, delivering shine and silkiness. Indicated to all kind of hair. 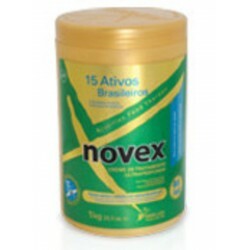 Novex 15 in 1 Actives Extra Deep Hair Cream 35oz. 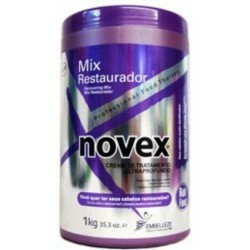 Novex 15 in 1 Actives Extra Deep Hair Cream technique together to express the beauty we have within us. The Professional artistic talent is bonded to his technical skills and to his capacity of turning into reality all his imaginative mind. Embelleze Novex Shock Therapy Extra Deep Hair Care Cream, the hydrolyzed Keratin is absorbed fast and easily by the hair, providing the capillary fibers restoration, it guarantees a healthy and resistant hair. This Treatment is a natural protector ideal to bring back the life of damaged hair. The hair will be healthful, nourished and hydrated. 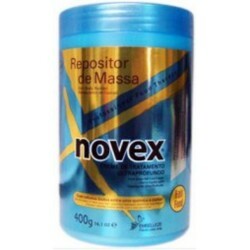 Embelleze Novex Repositor de Massa Hair Body Builder With lanolin nutrient for dyed, relaxed and permed hair. This cream brings back hair’s life; restoring health and beauty to recover hair shine, strength, and natural conditioning. Embelleze Novex Recovering Mix Extra Deep Hair Care Cream for extremely damaged hair enriched with silicon, keratin, ceramides, avocado and Vitamins. 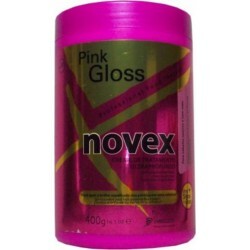 Embelleze Novex Pink Gloss Extra Deep Hair Care Creamis the new ally in time to take care of the hair dull and lackluster. Embelleze Novex Olive Oil Extra Deep Hair Care Cream was developed to fortify weak, dried up and fragile hair that has been damaged by chemical treatments, daily stress and environmental factors. 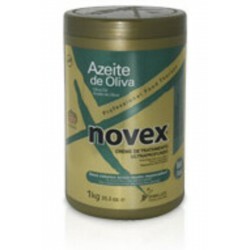 Embelleze Novex Leave-in Noite Treatment Cream Nocturne 5.2 oz. Embelleze Novex Leave-in Noite is the Treatment Cream Nocturne that restores and nourishes the beauty of your hair during sleeping hours, when the hair are more receptive. 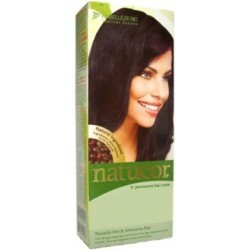 Embelleze Rio Natucor Permanent Hair Color Kit. 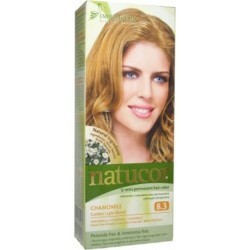 Natucor is a natural hair color that dyes smoothly. It doesn’t contain peroxide and ammonia thus it doesn’t damage or harm the hair structure. It suits any kind of hair, whether it is already colored or not. 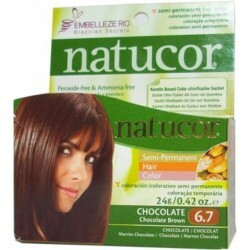 Embelleze Rio Natucor Semi Permanent Hair Color Kit Peroxide & Ammonia-free is a natural hair color that dyes smoothly. It doesn’t contain peroxide and ammonia thus it doesn’t damage or harm the hair structure. It suits any kind of hair, whether it is already colored or not. Embelleze Rio Natucor Semi Permanent Hair Color Economic Kit (Peroxide & Ammonia-free) is a natural hair color that dyes smoothly. It doesn’t contain peroxide and ammonia thus it doesn’t damage or harm the hair structure. It suits any kind of hair, whether it is already colored or not.